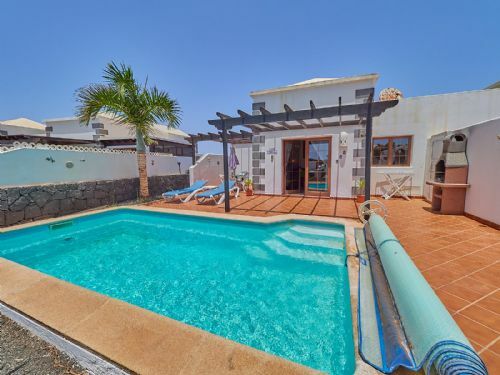 This fabulous villa is situated on a quiet and select development within walking distance of Playa Blanca. It has a master suite with its very own enclosed patio and double luxurious bath - the ultimate in luxury. Complete with a fully-equipped kitchen, FREE WIFI and pay-as-you go air-conditioning this is truly a piece of luxury! Casa Clara is a well located, modern townhouse-style semi-detached villa close to Marina Rubicon. The gorgeous sun terrace provides ideal morning sun and the walled garden offers privacy for the heated pool. Free WIFI (Fibre optic) and IPTV. 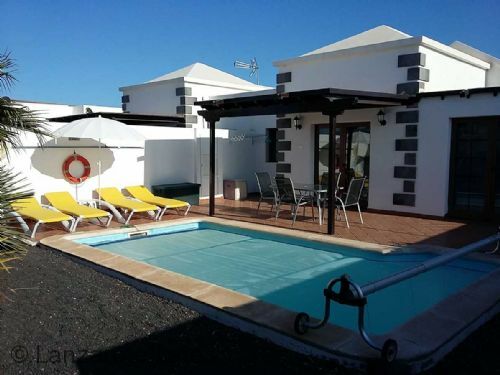 Superb semi-detached villa close to the main resort. Gorgeous walled back garden and a private, heated swimming pool. A spacious villa with mountain views front and back with FREE WiFi. 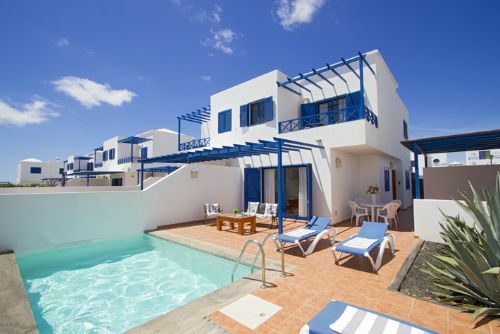 Compact Spanish style villa in Parque Del Rey, Lanzarote close to the resort centre. With a heated pool and private walled back garden and off-road secure parking. Fully-equipped kitchen and also a TV, DVD player and Free WiFi. Casa Elian is a well located modern holiday villa close to the resort centre. It has a pretty garden with a private electrically heated and covered pool. Complete with a fully-equipped kitchen, dishwasher and washing machine and also FREE WiFI, DVD, satellite TV and a BBQ.